The Wedding is one of the most cherished moments in everyone’s life that holds a special position in the heart. When you are hiring a wedding planner for your wedding, so many things come to your mind. Your main motive is to make that moment, the best one of your life plus save your pocket from extra expenses as well. 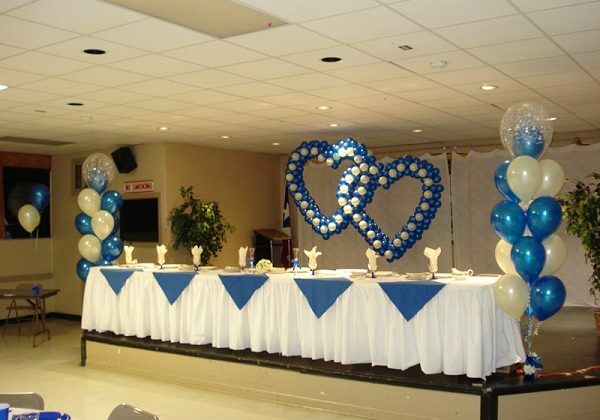 We are here with some of the proven wedding balloons decoration ideas that can really help you to create a great centerpiece for your wedding. If you can spare some time to go through these tips then you can really save a handsome sum of money on the wedding decoration. If you hire some wedding decorator locally you can really save your pocket from over-spending. The main reason for that is most of the foreign wedding decorators charge you shipping and other support fees that really impact your budget so it is always advised to book a local wedding decorator who can decorate the centerpiece using colorful flowers. You can choose colorful artificial flowers with a natural aroma so that they look real and last longer. It is usually seen that the artificial flower decoration is cheaper than the real flower decoration so go for cost-friendly options only. Colorful balloons are perhaps one of the cheapest and the colorful forms of decorating a centerpiece at a wedding. When choosing balloons, colors should be bright so that they add glamor to your wedding day. You can use balloons in multiple ways like you can decorate the center-stage using balloons, create an arc of balloons and place it at the entrance of the event, randomly place the loose balloons on the floors, etc. 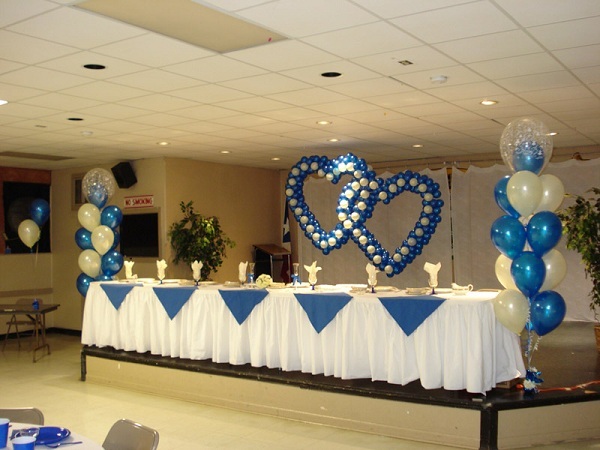 There are so many ways that you can try to use the balloons on your special day. The only thing you need to do is to use your incredible skills to showcase your decoration skills. Use inexpensive fabric for decoration. It is one of the best wedding decoration ideas that you can use to throw an inexpensive wedding party. Use soft fabrics at the backdrop, hang some colorful flowers and balloon to add more glow to the fabric used by you. No need to spend so much on the fabric as it will be covered by the things that you would use to decorate the area. Ask your event manager to book an affordable venue for your wedding so that you can concentrate on rest of the things. You can book an inexpensive place and decorate it using fancy stuff. This is perhaps one of the best ways to change the overall look of the otherwise boring place. If you really want to save your money, you can ask your wedding decorator to decorate your wedding centerpiece using used flowers or balloons. Above are some of the simple yet effective wedding decoration ideas for a great centerpiece. You can go through these ideas and implement one of these tips to create a mind-blowing yet cost-friendly centerpiece.